YES! I WANT TO BE NOTIFIED WHEN THE NEW COLLECTION IS AVAILABLE FOR PURCHASE! View all of the previous collections that merge elements of modern architecture and tribal influences culminating in stunning jewelry that tells a story better than words ever could. Sleek, modern, eclectic and playful, our collections have been worn all over the world by copious amounts of people and has a celebrity following, to boot. 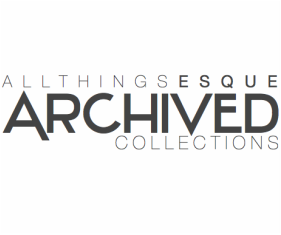 Explore the collections for yourself! 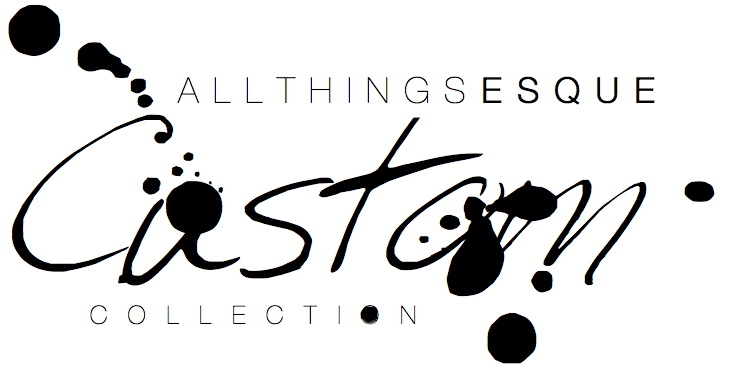 All Things Esque Custom Collection is our Bespoke Jewelry Collection that is collaboratively genius! We custom design one of a kind jewelry that's 100% unique, just like our savvy customers. Whether you're looking for a bespoke jewelry piece for a big event, jewelry celebrating a major life event, or maybe you have some old jewelry that needs new life, we'd love to hear from you! We're big fans of collaborations and welcome your questions and ideas so that we can create something both memorable and masterful for you or someone you love. Contact Us! LUXE Collection encompass fashion, art, timelessness, and unadulterated luxury into a single piece of jewelry. Each LUXE statement piece is a handmade, one of a kind masterpiece of luxurious, fashion-forward art embodying fantasy, make-believe, dressing up, and all that glitters in life. Any LUXE jewelry can be worn to any event, anywhere in the world, and the wearer can rest assured that she'll be the only person wearing this gorgeously crafted accessory. LUXE is more than just a statement, it's a lifestyle...and it's well worth living! CITY Heritage Collection is the classic collection that ignited the fire behind All Things Esque's passion for making one of a kind and limited edition jewelry. Within this one of a kind and limited edition collection semi-precious gemstones are partnered with found objects from the city streets of Chicago; items from Chicago's historic elevated rail, industrial elements of an era gone by, and vintage transit parts are celebrated within this gorgeous jewelry collection. The found objects used are filled with rich history and a story behind every bauble creating an unparalleled, fashionably, city-chic juxtaposition. All Things Esque's Bridal Collection celebrates a wedding day much like most of their clients do, with a glass of champaign and an personalized style! Much like putting your individual stamp on your wedding, being true to your unique union, All Things Esque celebrates a similar individuality by creating one of a kind and extremely limited quantities of every jewelry piece designed. We want you to be you and we want to ensure that your wedding jewelry is as marvelously unique as you are. So if you can't find what you're looking for within our collection, shoot us an email we'll ensure that your imaginings become a realization. Cheers to that and to your big day! For the distinguished gentleman who is looking for more than just a little extra style in his wardrobe, All Things Esque has just what the doctor ordered. Le MALE Collection boasts originality, personalization, and keen style while still remaining classy and cool. Every item within this collection is a limited edition with some serious panache! 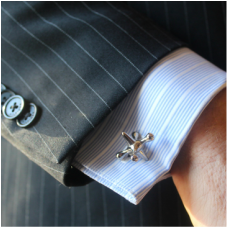 Come explore the possibilities of being the best accessorized man you know. You can thank us later.